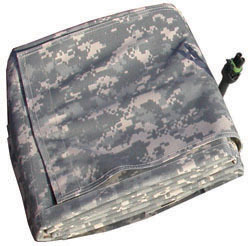 The Tactical Computer Powercase (TCP) line is designed to safely protect your electronic equipment in harsh environments while also providing the needed power from global AC or DC backup power sources and/or from the built-in long-duration batteries. Impact absorbent foam to protect your vital equipment from shock or vibration damage. 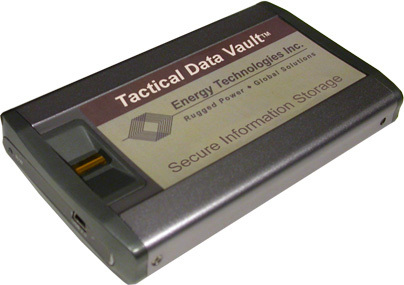 The Tactical Data Vault (TDV) combines fingerprint reader and security codes to assist in preventing unauthorized access, because portable computers may fall into the wrong hands. 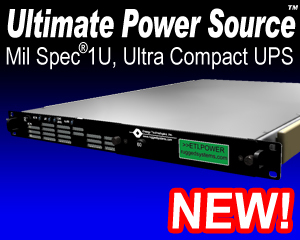 Solid State technology means no moving parts for higher reliability, silent operation and lower power consumption! Unlike most drives, the TDV (& TCW) equipped with SSD have no data loss due to EMP (Electro Magnetic Pulse), HEMP (High altitude EMP) or other high magnetic fields! Data Retention when unused: 10 years. Mean Time Between Failures (MTBF) over 1,200,000 hours! Security can be set for 1 fingerprint, or up to 10 prints plus security codes. Time delayed lock if there is no activity. The TDV can be quickly and easily disconnected to securely store or to transfer data between systems. Optional Rapid Data Deletion™ (RDD) to instantly wipe the drive if there is risk of it falling into the wrong hands! Allows easy ID confirmation in the field with scanning of 4 fingers, or two thumbs at a time. Contact ETI for configurations to meet your specific needs.